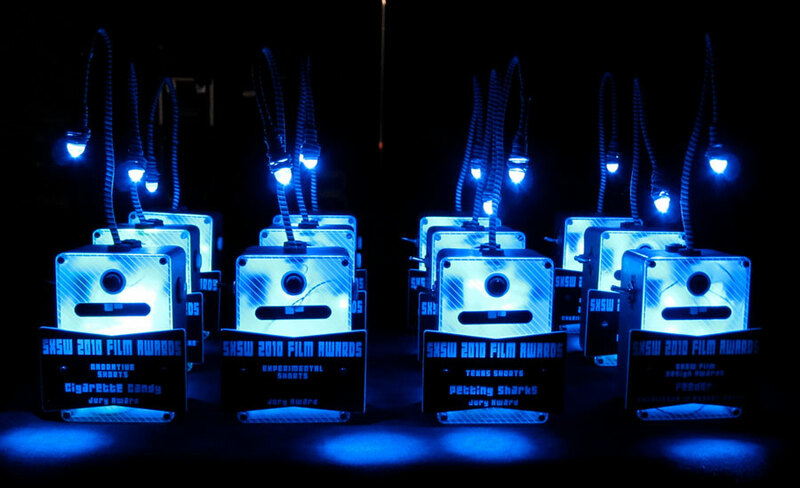 Contact drbleep@bleeplabs.com for info on wholesale orders, custom work, or any questions you might have. 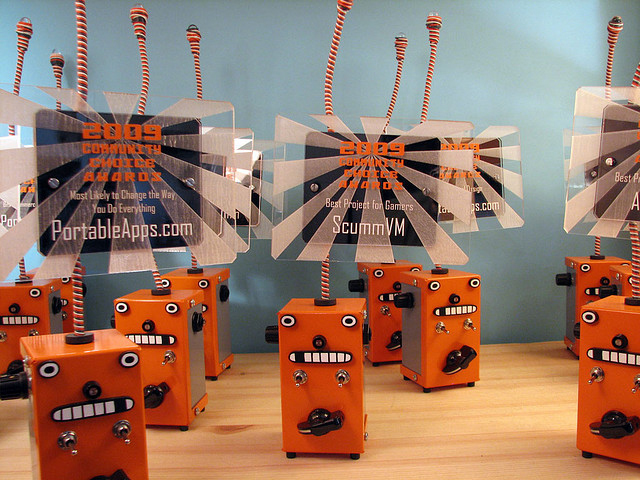 Bleep Labs designs and manufactures noisy objects in Austin, TX. Product design by Dr. Bleep aka John-Mike Reed. Original Thingamagoop and Bleep Labs logo design by Goopymart. 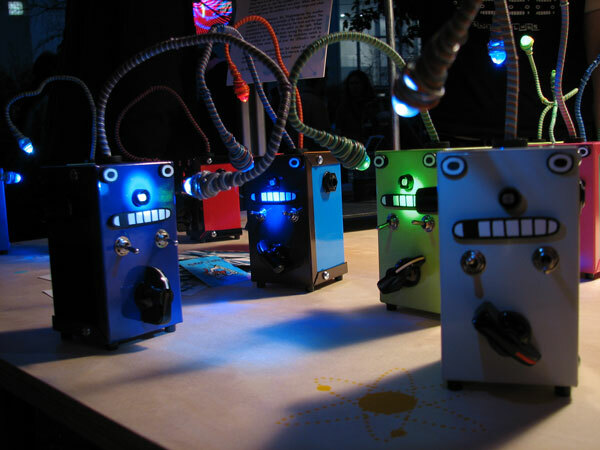 BLEEP LABS has been designing and manufacturing synthesizer kits and noise friends in Austin, TX since 2006. Our first product, the Thingamagoop was designed with the help of Goopymart who had the brilliant idea of putting a face on Dr. Bleep’s weird noise boxes. In 2009 Eric Archer, Dan Green, and Dr. Bleep started Handmade Music Austin with help from Church of the Friendly Ghost. The workshops ran for over a year but most of the devices created for it are still for sale such as Eric’s Tune in Tokyo, Dan’s Autonomous Bassline Generator, our Nebulophone and Pico Paso, and more. Bleep Labs is still putting on workshops in Austin! Sign up for our mailing list for more info. 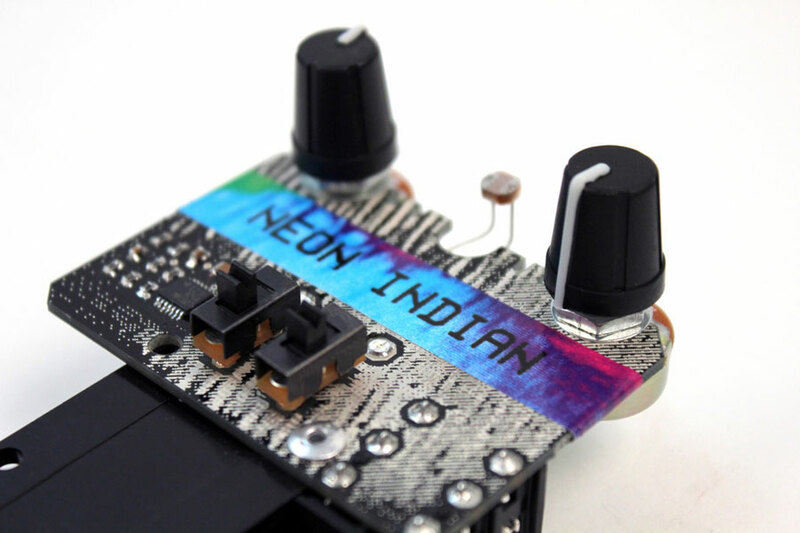 Our first major artist collaboration was with Neon Indian. We created a version of the Pico Paso call the the PAL198X to be included with the special edition of their send album, Era Extraña. Johnny Woods and Neon Indian made a ridiculous video for it. 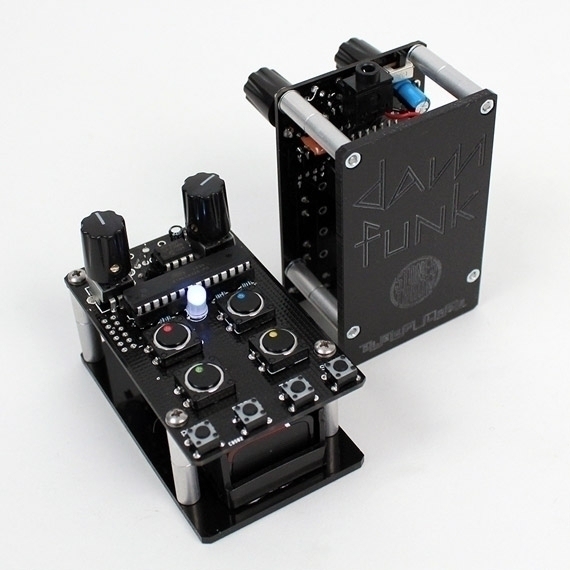 The Dam Drum was designed for Dam-Funk and released August 2012. Three editions ended up being released each with different sounds picked by Dam-Funk. The Bleep Drum was later released with sounds by Dr. Bleep. The Blues Exploder was a theremin/loop player/effect made for The Jon Spencer Blues Exploder. Bleep Labs collaborated with Daedelus in 2015 to create the DELAYDELUS. We’ve also made custom devices for corporations.